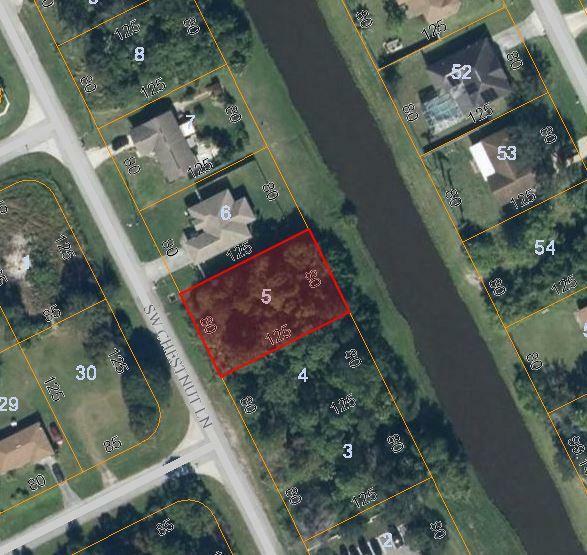 Peaceful wide canal lot ready for your new home. Back lot privacy and nature at its best. Located minutes to shopping, restaurants and Turnpike for commute. Adjacent double lot also for sale at 2377 SW Chestnut Lane MLS# RX-10519017 listed at $68000. Own one beautiful canal lot, or purchase all three in a row for your larger canal lot home site. Buy and build or hold for investment. Buyer to assume remaining water and sewer assessment in tax bill.